The second demo for Pro Evolution Soccer 2013 is now available to download from the Xbox Live Marketplace and the US and EU PSN Store. Demo 2 has 11 licensed teams to choose from: Real Madrid, FC Barcelona, Valencia, Athletic Bilbao, Manchester United, Bayern Munich and Juventus. 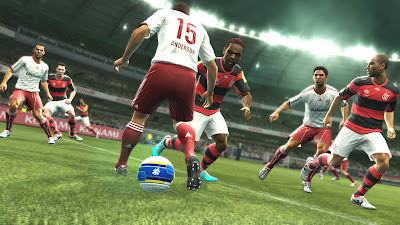 Additionally, Santos, Corinthians, Boca Juniors and Chivas are available to use in Copa Libertadores mode. Performing Training also features so users are able to practice their dribbling, defending, trapping, long-passing and shooting skills. Konami have confirmed a PC version will arrive sometime next month. You can discuss the new demo on our forums here.